Our industry’s growth story is punctuated by the outsized impact credit unions have had in serving local communities: in the midst of a government shutdown, the movement helped provide over $46 million low or no-interest loans to federal employees, showing once again that in times of need, credit unions answer the call. To borrow a line from Jim Nussle at GAC, credit unions and our members truly thrive when we work together. While one credit union may represent a small voice to a large payments processor, collectively, we represent 116 million members. And in the era of consolidation, it is important that we stand as the voice for those members when it comes to the future of e-commerce and integrated payments. 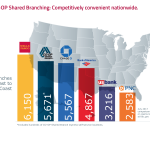 As the nation’s largest CUSO, CO-OP will continue to help our credit unions navigate a rapidly changing payments landscape. Whether it’s helping them expand access and scale through integrating the latest digital and mobile payments solutions, through strategic consultation from our experts, or with our Shared Branch and ATM networks, CO-OP is the digital delivery partner built solely for credit unions. But more importantly, we are here to provide credit unions and members with a voice in the future of payments. One of our big takeaways from the two recent mergers is that everyone is in a race to build and connect the most integrated, innovative payments and processing technology for the digital consumer. Consolidation of the CO-OP Shared Branch network platform. And we have a lot more to come this year as we continue to work towards a more integrated, seamless experience for our credit unions and their members. 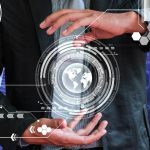 All of this would not have been possible without the ability for us to implement agile development and integration of our services, which is another reason why we’re not surprised to see other payments and technology companies beginning to follow suit. The bottom line: we’re going to continue seeing significant shifts in the payments and financial services landscape. But if we continue to work together towards a shared vision of a single, integrated payments ecosystem built for credit unions, I have no doubt our industry will continue to thrive. CO-OP Financial Services has always been a safe haven for credit unions, providing support to the movement during times of change and resulting uncertainties. This is especially important now, as our size and scale can not only help credit unions absorb changes, but we can also influence the forces of change to advocate for credit unions. 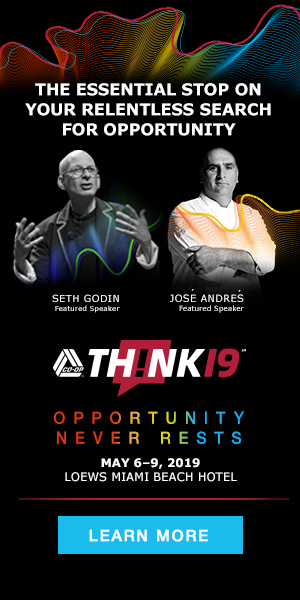 I look forward to seeing many of our credit union partners at THINK 19, May 6-9 in Miami, Florida, where we will continue to explore the opportunities ahead for credit unions – and how to seize them.